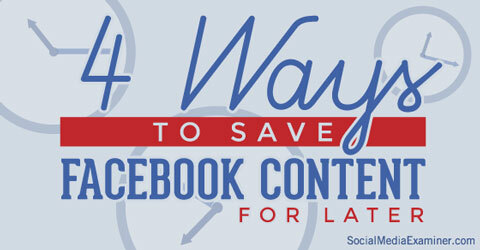 Have you ever wanted to save Facebook content to read later? Are you looking for ways to find that saved content? Depending on the type of device you’re using, Facebook save can be time-consuming or frustrating. 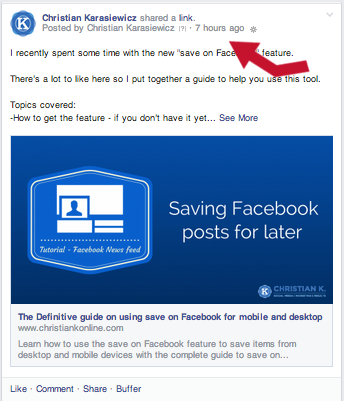 In this article I’ll share four easy ways you can use the Facebook Save buttonfor saving articles you’re interested in reading later. Your Facebook connections and favorite pages offer some really great content–but you don’t always have time to read it so you want to save it for later. If you’re like most people, you haven’t found an easy or efficient way to do that. 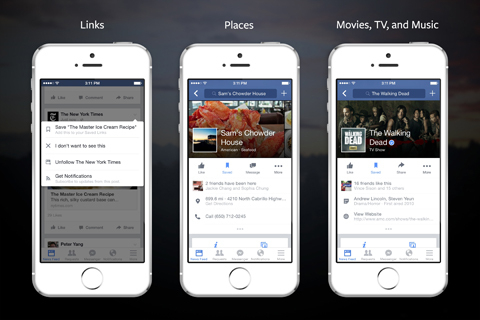 Find out how to save article links on Facebook. Some people take a screenshot of an article they want to save and then email it to themselves so they can go back and remember to look at it later. We all know how that usually turns out. We say we’ll look at our email later and end up forgetting about it until we have hundreds of items piled up—most of which aren’t relevant anymore. There are easier ways to save good Facebook content. I’ve put together this list of four ways you can quickly save posts so you can look at them when it’s convenient for you. Recently, Facebook introduced a new tool called Save on Facebook for both desktop and mobile users. 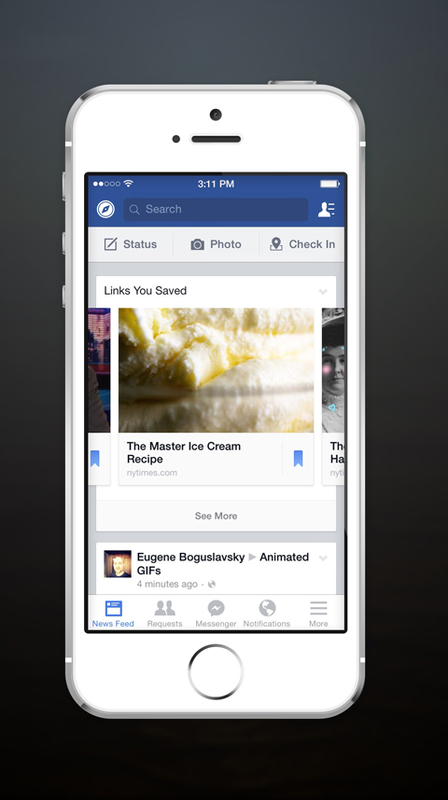 When you learn how to use it, the feature will change how you save posts on Facebook. With this new feature, not only can you save posts to read later, you’ll get a reminder to look at the items you’ve saved. Facebook reminds you to read saved articles. When you find an article you want to save to read later, click the down arrow in the upper-right corner of the update and choose Save “Name of Article.” Check the Favorites list in your sidebar and you’ll see a new link called Saved. Save on Facebook lets you save links, places, events and other items, but you can’t save everything you may want to (e.g., photos). Facebook is making it easier to save links for later. Here’s the catch: If an update doesn’t have a link preview, readers can’t save it. As for users, Save on Facebook is a great first try, but the feature isn’t completely ready for everyday use because you can’t save all types of content. But if you want to keep everything in Facebook instead of a third-party app, it’s definitely worth a look. Evernote and Skitch are two of my favorite ways to save content from Facebook because they work together and give me the flexibility to save posts anywhere. For those of you not familiar with Evernote, it’s an organizing tool that lets you clip (save) articles and images and turn them into notes you can put into virtual notebooks. 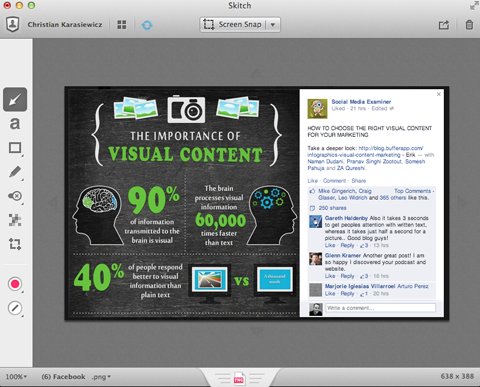 Skitch (owned by Evernote) lets you take screenshots, draw on images, etc., and then sync them to a notebook in Evernote. Use Skitch to take screenshots and make notes. Both work extremely well on desktop and mobile devices. Together, they create a powerhouse tool for saving posts from Facebook. If you’re using a desktop, I suggest installing the Evernote browser extension. It lets you click on the timestamp or date of a Facebook post and clip the entire article into Evernote—saving both the post and its URL. If you’re on a mobile device, you can use your private Evernote email address and mail the article link to your Evernote account and save the post in a specific notebook. Evernote and Skitch are both free apps, but if you clip a lot of items, you’ll want to upgrade to the premium version of Evernote, which gives you more space. Facebook interest lists are a way to organize and keep track of specific people and pages you follow. A Facebook add interest list for social media resources. They’re useful because you can quickly go to a list and view any posts you may have missed without having to scroll through your entire news feed. The downside is that interest lists won’t let you save a specific URL—they’re essentially curated news feeds. If you plan on using Facebook interest lists, keep them small. Otherwise you may still miss posts from pages that post a lot. You’ll have to go back and look through all of the posts from the different profiles and pages in that list. Bit.ly bundled posts are one of the quickest ways to save posts from Facebook, and let you save multiple links in one place. You can even create more than one bundle so you can organize your links by subject (or any other system that works for you). 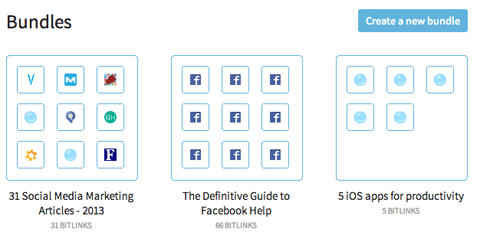 Create a Bit.ly bundle to save Facebook content you can use as a resource or read later. There are two things you should know about bundles: If you don’t want others to view your bundle, click the lock to make it private, and each bundle you create has its own URL—bookmark it for easy access later. To make a bundle, head over to Bit.ly and click on Bundles, then select Create a New Bundle. Give your bundle a name and a description and click Make Bundle. Now you can start adding URLs. To save a post from Facebook, click on the timestamp or date, and copy and paste the URL into your bundle. If you’ve already saved URLs in Bit.ly, you can search for and add them as well. Click the post timestamp and copy the URL to your bundle. If you like, you can also rename a URL: Click on the pencil icon and name it something that’s easy for you to remember. When you’re ready to access your URLs from your bundle, log into Bit.ly and click on Bundles. Remember, if you save a URL and that URL is ever removed from Facebook, you won’t be able to get back to that Facebook post. When you’re finished viewing an item in the bundle, you can remove it by clicking the X. While Bit.ly bundles don’t save images, they do save you time because it’s so easy to save posts from Facebook. 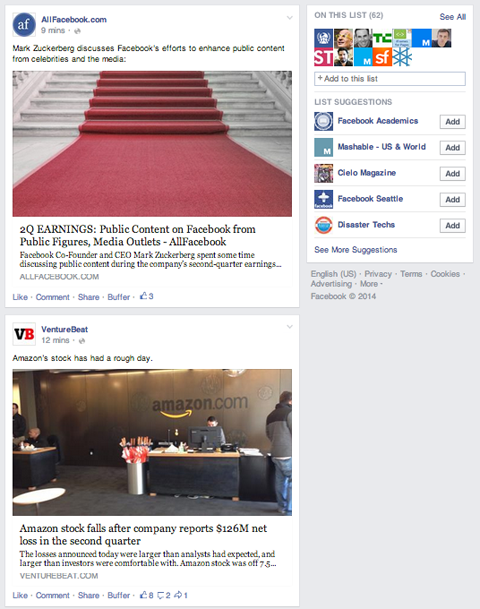 Facebook is a very good resource for industry news and other links. But when you don’t have time to click over and read, you need a way to collect those links for later. The four alternatives in this article make it quick and easy to do that. When you’re choosing an app to help you save links, be sure to test all of the options and pick the one that best fits your needs.